Problem D12: Consider one mole of an ideal gases in a container. 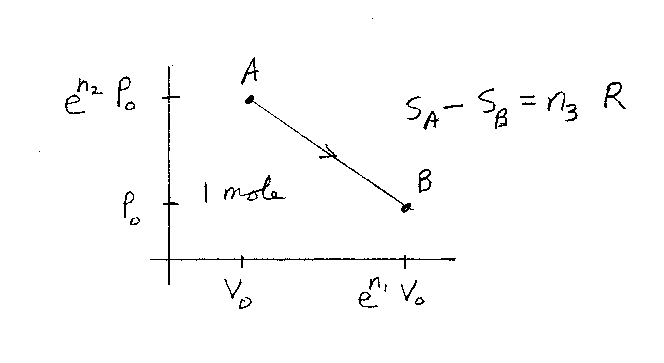 The gas starts off in the state A, which has a volume V0 and a pressure en2P0. The gas ends up in the state B, which has a volume of en1V0 and a pressure P0. The gas undergoes the reversible process as shown in the figure. What is the change in entropy of the gas. If the change in entropy is SA-SB = n3R, what is n3? Note that n1, n2, and n3 are unitless. R is the gas constant.